52 in. wide, fully extended. Pleasing twisted rope style handles. This simple but elegant fireplace screen has proven popular with our customers. We call it our Minuteman SS-31 Twisted Rope Folding Fireplace Screen because of its unique twisted rope handles, designed to make the screen easy to position. 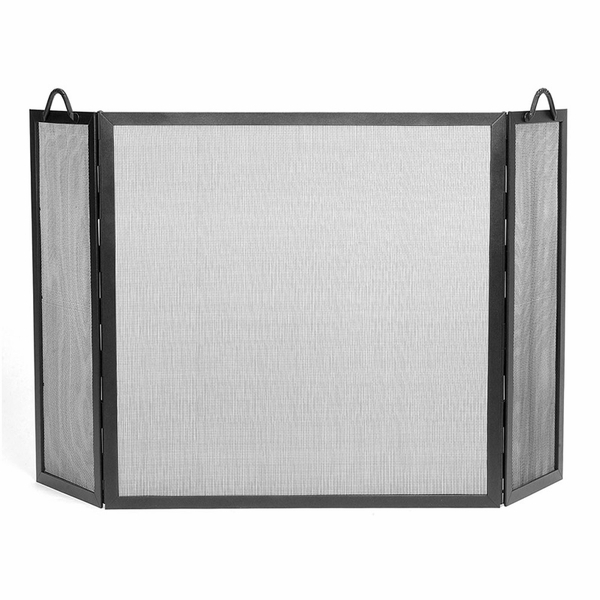 This screen is finished in our eye-pleasing graphite coating and consists of three panels, all the same height (30 inches high). Folding screens allow you flexibility in positioning as well as ease of access to your fireplace's interior. Designed to protect you and your home from sparks, it's durable enough to be used inside or outside at your fire pit!